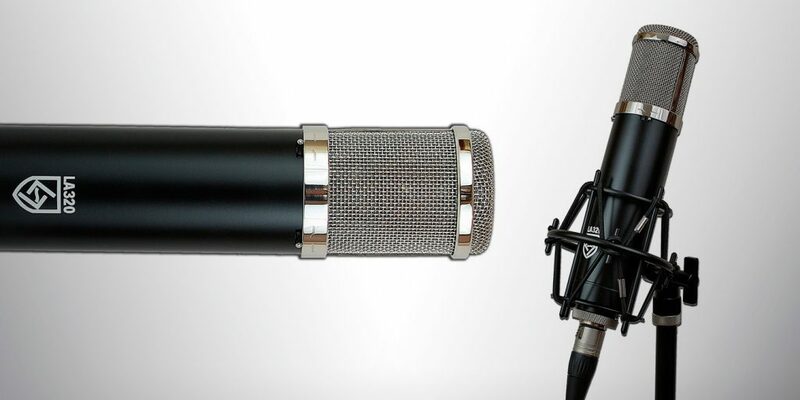 Mixcraft Pro Studio has been on our radar for some time. John Rossi III reviewed versions 4, 5 and 6 in previous issues, always praising it for its simplicity while pointing out its breadth and value. 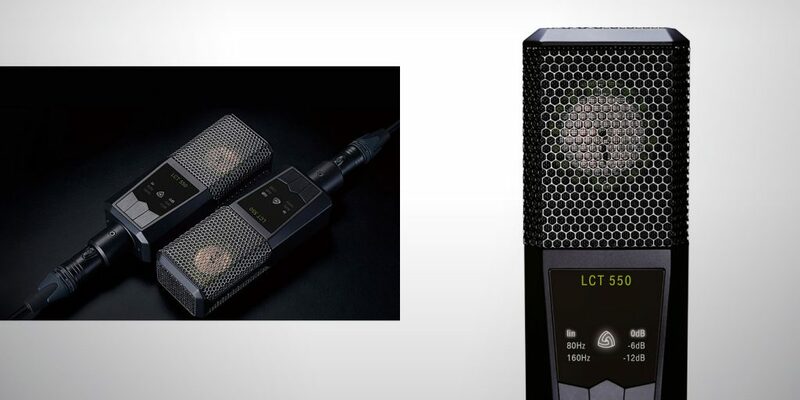 John wasn’t available for this review, but his previous articles reveal a product that has been evolving along with the state of the recording art, and Version 7 is no exception. Mixcraft Pro Studio 7 takes off from previous versions with a slew of new features, a number of operational and performance enhancements, and an even larger set of instruments and effects. Just a list of the new features in version 7 is a little over-the-top. Some of the updates are somewhat expected: 64-bit support, improved control surface support, new pitch- and time-shifting tech, and new audio content. Others might actually change the way that you approach the software, such as the Performance Panel for clip launching and unlimited automation edit lanes. And finally, Acoustica has added more plug-ins, which are always welcome additions. Let’s take a look at a few of the specific updates to see how they stack up! An eyebrow-raiser in version 7 is the Performance Panel. A concept first found in Ableton Live (but now embraced by several software companies), the Performance Panel presents audio and MIDI clips as a matrix of boxes that can be clicked in order to be performed. A vertical column of clips can all be fired at once, a concept similar to an Ableton Live Scene, and each track can have multiple lanes, each with its own Performance Panel clip. Where things get interesting is with some of the control that Mixcraft provides for the clip playback. In addition to global clip launch settings, you have individual clip settings that can force clip restarts or even allow you to sync the start point of a new clip to the playback location of the current clip to provide a clean mid-clip transition. This results in a very dynamic and fun playing style, with easy track variations in realtime. You can arm the Performance Panel system to record your clip selections; the resulting performance data is saved in your track and remains in place even if you hide the Performance Panel… or even delete the clips! This makes for a quick composition system that is very effective for song format development. While I enjoy working with physical controllers to enter first-pass control movements, it’s the use of detailed automation editing that helps me bring a project home. Mixcraft’s new Multi-Lane Automation editing functions allow you to work on several automation envelopes simultaneously — a super-useful function that makes it much easier to coordinate complex automations. The lanes drop below the content tracks, and can control any mix function (volume, pan or individual send controls), any effects parameter, or any instrument setting in MIDI tracks. It is surprising to me that producers don’t take more advantage of the extensive automation provided by modern software; it can liven up a track, or prevent overuse of effects by allowing them to exist only in select spots. I found Mixcraft’s automation very natural and easy to access. I hope this makes it more likely that users will try parameter automation in their own work. The new Step Editing system will be a great addition for anyone that is focused on creating beats from scratch. While it can be tempting to focus on the deep set of loops and construction kits provided with Mixcraft, having access to beat development tools can provide a lot of creative options for the beat designer. The Step Editing tool provides a drum-specific view of a MIDI track, with mappings that match the drum kit sets that are provided with Mixcraft. Selecting the Step Editor from the sound editing tab gives you a grid that is sized to match your drum kit — and your current zoom level. Zooming in will allow you to enter very tight rhythmic content (down to 64th notes), with rows labeled by sample name, and a lane dedicated to tweaking the velocity that each hit will generate. This sort of editing is found in many DAWs, but Mixcraft’s highly-integrated implementation will open some new doors for beat creation. One of Mixcraft Pro Studio 7’s big draws is the huge number of plug-ins that are included. Each version of Mixcraft introduces new plug-ins (some created by Acoustica, others created by third-parties and licensed for use in the software), and version 7 introduced several new audio effects and instruments. I could fill this whole review just with plug-in reviews, but instead I’ll focus on a few new tools that jumped out of the system to become my personal favorites. Alpha and Omni: Mixcraft comes with two new samplers, and they are some of the most enjoyable instrument plug-ins that I’ve come across in some time. These samplers, rather than being the feature-filled monsters offered by other developers, instead lie in the “software should be easy” realm that Acoustica prefers. The Alpha sampler couldn’t be easier to use: it accepts a single sample, then provides basic envelope and filter controls. You drop a sample into Alpha and you are immediately rocking the sound — it reminds me of sampling with my old Ensoniq Mirage, or (more recently) the sampler built into the iPad version of GarageBand. It includes some quick buttons for monophonic behavior, which is great for soloing purposes, and quick reversal (especially useful for pad effects). I loved the simplicity of working with this instrument; while not the right tool for massively layered or heavily tweaked sample content, it proved more fun than a whoopee cushion. The Omni sampler is a bit different, but is equally fun for creating sample content. In the case of the Omni, we have a grid of samples, each with its own pitch, filter, envelope and level settings. It is eerily similar to the Ableton Live Drum Rack system, where each note receives its own grid. However, unlike the complexity embedded into Ableton’s Drum Rack, each of the Omni note-slots just gets a sample and runs from there. Add a global modulator and global volume control, and you have a device that can create a serious drum or sound effect matrix in minutes. Glass Viper: Where the samplers do precisely what they say on the package, the Glass Viper (developed by QuikQuak) is somewhat under-defined. What is a Glass Viper anyway? In practice, it turns out to be an unabashed digital synth, sharing a lot of heritage with software synths like Native Instruments Massive or Absynth, or older digital synths like the Korg DW8000 and Prophecy. The sounds are in-your-face, and wouldn’t be out of place in a modern dubstep or hype-pop track. But I also found that its unique method of waveform and voice design allowed me to make all sorts of entertaining and interesting sounds — all of a distinctly ‘artificial’ nature. This is also a synthesizer that really responds to the effects that come with Mixcraft. 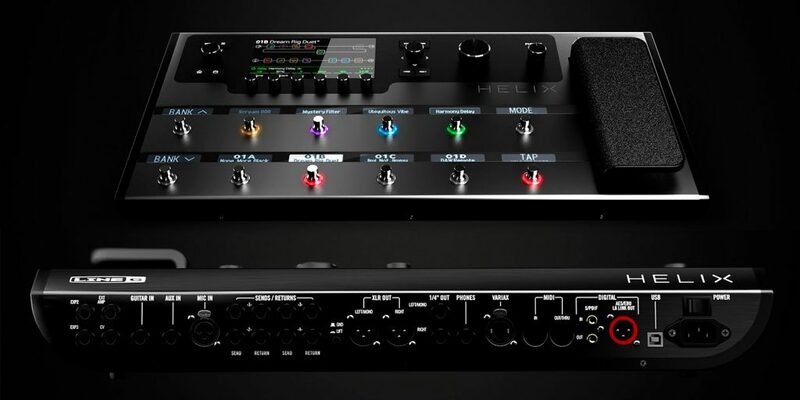 Taking the hyper-present, ultra-digital sound and pumping it through a sideband-controlled compressor, multi-band distortion, or warbling filter/delay rewards you with an amazingly rich palette of sound. Good stuff! Fusion Field Reverb: My friends know me as a bit of a reverb fiend, and Mixcraft Studio Pro 7 includes a new reverb that has me entranced. The Fusion Field Reverb — also made by QuikQuak — is a convolution-based reverb that provides extensive control over the sound and quality of the effect. It also provides a display that combines both frequency- and time-domain information displayed as a ‘cloud’ formation. While this might sound like a difficult visualization, in practice it couldn’t be clearer. I mean, what’s more cloud-like than a reverb? Behind the controls and the visuals, though, is a sweet-sounding reverb that can do smallish rooms or huge canyons with ease. It was especially useful in creating large pads out of almost any source material, and was so easy to edit that I found myself perfecting reverb sounds immediately. This is a very effective way to work with natural-sounding spaces, and is now part of my Arsenal Of Favorite Reverbs. As a new Mixcraft user, I got to experience the entire introductory process: downloading, installing and learning. My initial installation caused me a little grief: for some reason, the sample content for the default instrument was not properly loaded, so I wasn’t able to hear anything when I’d follow the Quick Start instructions. But the online support for Mixcraft is pretty amazing, and I quickly got the hint that a reinstall was in order. Normally, I might not mention this in a review; but in this case, the resulting interaction with the online community was so helpful (and easy to access at 2 AM!) that it actually ended up being a positive experience. Learning the software was especially easy due to a couple of things: the wonderful documentation and the videos available through the Mixcraft 7 University. I received the printed manual (along with the electronic text available through the application), and browsed it to get a sense of the application and some basic concepts behind how it works. I quickly found myself becoming comfortable with the basics (it aligns well with most of the DAW concepts you’d find in other software), some of the details (video editing in an audio DAW at this price point — really?!) and especially the deep set of included instruments and effects. In addition to detailed information about the entire application, the manual also includes some extremely helpful sidebars that, in a breezy style, provide hints to improve your efficiency or provide insight into working with the software. When it came time to get producin’, it was the online Mixcraft 7 University that came to the rescue. This set of video documents, numbering over 60, begins with a Quick Start guide describing the interface, and moves through details like using the sampling devises or working with the MIDI editors. They are in-depth, super-informative, yet quick-to-view tutorials on the software, and prove very helpful and inspirational. Every time that I found myself wanting to know more about the software, I inevitably found a video that would jump-start me on my path, and a section of the manual that would provide in-depth explanations. This combination for self-education is so effective, it should serve as a model for every other recording software package! In general, my experience joining the Mixcraft party was entirely enjoyable. Working with the Performance Panel as a front-end to track creation, then using the extensive number of plug-ins (and accessing my favorite third-party plug-ins), made the system both efficient and just plain fun. I personally found the mechanism for selecting plug-ins to be a bit painful — it could easily have been reduced to something more efficient than the current multi-step selection system — but once I had my plug-ins selected, the editing, mixing and production environment all combine to make a fun and productive musical environment. And that plug-in collection is amazing. For new DAW users, I can imagine the plug-in set will provide virtually every sort of sound one can imagine making, and a whole lot more. Once you are interested in custom sound design, the Alpha and Omni samplers provide an easy way to do that as well, opening even more creative doors. In previous reviews, John Rossi called Mixcraft a sequencer “for the rest of us”. I think that, if you look closely, you’ll see that this is actually quite true: these modestly-priced packages are constantly improving, becoming as full-featured as any DAW while maintaining an accessible interface. 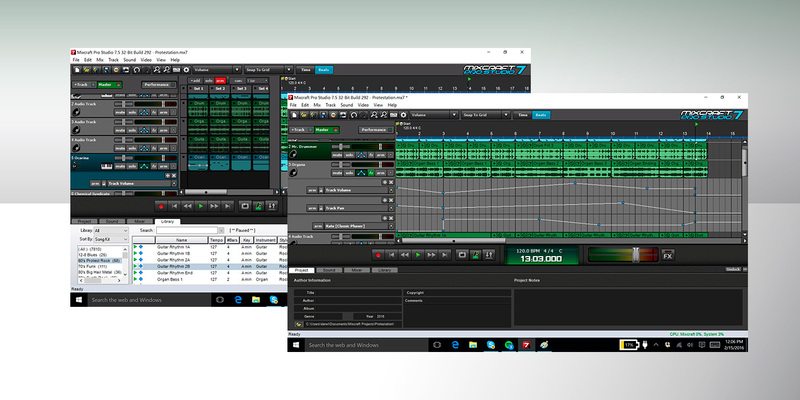 Mixcraft Pro Studio 7 is a strong player in this area, providing a Windows-based platform for a variety of users: beginners, educators and budget-conscious recordists/songwriters. By providing a multitude of ways to approach the software — as well as a start-of-the-art learning portal — Acoustica has taken this package and made it a potential player for almost any DAW need.